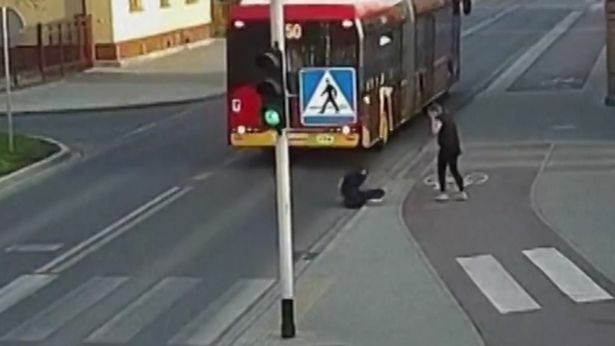 A seventeen-year-old Polish girl was left in shock after her friends' sick prank almost got her headed crushed by the wheels of a bus. The friend was fined £60 for the near-death incident that happened in Czechowice-Dziedzice in Poland. 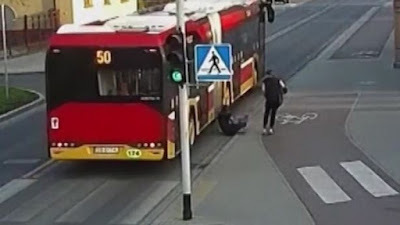 But the city police commander does not think the penalty for her actions is deterring enough and wants to press charges against her for endangering a life. If it goes ahead, and she is found guilty, she could spend a year in prison. The footage was released by the Czechowice-Dziedzice police.